This is one of the first population-based imaging studies, and is essential to answer how to maintain brain structure and function. Conducted by scientists from Amen Clinics at Costa Mesa, California, Google, John’s Hopkins University, the team evaluated 62,454 brain SPECT (single photon emission computed tomography). The study, published in the Journal of Alzheimer’s Disease, used brain SPECT imaging to determine aging trajectories in the brain and which common brain disorders predict abnormally accelerated aging. It examined these functional neuroimaging scans from a large multi-site psychiatric clinic from patients who had many different psychiatric disorders, including bipolar disorder, schizophrenia and attention deficit hyperactivity disorder (ADHD). 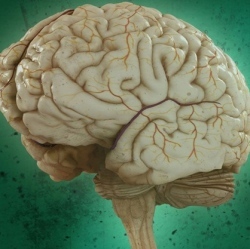 The researchers studied 128 brain regions to predict the chronological age of the patient. Older age predicted from the scan was compared to the actual chronological age and interpreted as accelerated aging. The study found that a number of brain disorders and behaviors predicted accelerated aging, especially schizophrenia, which showed an average of 4 years of premature aging, cannabis abuse which showed 2.8 years of accelerated aging, bipolar disorder showing 1.6 years accelerated aging, ADHD (1.4 years accelerated aging) and alcohol abuse (0.6 years accelerated aging). Interestingly, the researchers did not observe accelerated aging in depression and aging, which they hypothesize may be due to different types of brain patterns for these disorders.